How Far is MVV Enclave? Quite & peaceful residential area, surrounded by greenery is just the first of the many highlights you’ll notice at MVV Enclave. Located not too far from highway in Midhilapuri Colony, Visakhapatnam, Enclave is a perfect bet for young and ambitious IT professionals. The Apartment complex is located close to the IT SEZ area as well as the National Highway. An apartment at MVV Enclave is just you need when you are looking for lifestyle & value living. 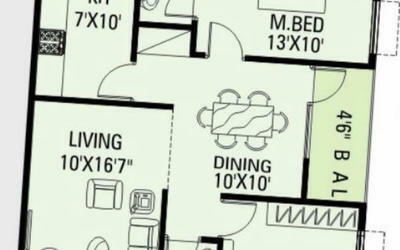 Residents enjoy many amenities, including: convenient underground parking, a fitness center, private pool, play area for children, and Recreation Club. 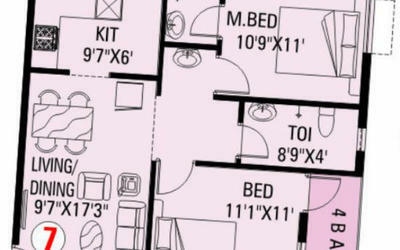 In addition to these, all flats at Enclave is complaint with Vastu. Many of our luxury apartments are unique with an array of stylish features such as; vitrified tile flooring, texture & putty finish for internal walls, Teak wood for entrance door and polished granite kitchen platform with ceramic tiles dadoing. Brick Work in cement mortar 6" thick for External and 4 1/2" thick for Internal. Entrance Door with Teak wood frame and shutter two side teak ply. Well seasoned wooden frames with water proof flush shutters painted with enamel paint. Well seasoned wooden frames with safety grills and box type shutters painted with enamel paint with white colour glass. 2′ x 2′ vitrified tile flooring standard make. Concealed wiring of copper wire with necessary points, provisions for modern appliances (AC provision in master Bed Room, Geyser point in one toilet, T.V. & Telephone point in hall). Glazed / Ceramic tile dadoing in white colour upto 6′ height with white colour sanitary ware and C.P.Fittings. Polished Granite kitchen platform with sink upto 2′ height white glazed ceramic tiles dadoing. Painting for external emulsion & texture and Putty finish for internal walls. Lift and staircase facility will be provided. Continuous 24 hours water supply will be provided. 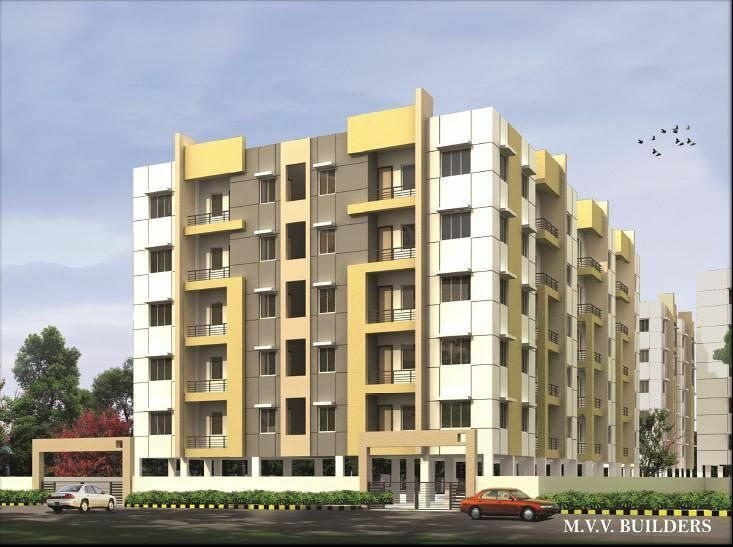 MVV Builders, Visakhapatnam, Andhra Pradesh, India started its operations in the 90’s headed by Young Dynamic & Innovative Self-driven Entrepreneur MR. MULLAPUDI VEERA VENKATA SATYANARAYANA Well Known, Reputed and Leading Promoter & Builder in the industry. Over a period of more than two decades it has grown exponentially based in Visakhapatnam. Today, the company enjoys a strong presence in Visakhapatnam real estate and extending its prevalence to Hyderabad. It has taken large strides to attain a name for itself both in the industry and in the market, equipped with the latest State-of-the-Art Infrastructure facilities and trained Qualified Professionals & Skilled Manpower to cater to the dominant changing housing needs of the society.